The goal of this project was to improve an interaction we encounter in our everyday lives. We were split into groups of two and tasked with observing people in the streets of Savannah. This was to set the scope of the project. My partner, Valentin Haack, and I chose to focus on the office space. After further ethnographic research, we narrowed the scope to interdepartmental communication problems seen in the office spaces we observed. Based on the research we gathered, we wanted to merge the physical and digital space of the office together through the context of better communication between the two. We looked at other competing solutions to inspire our concept. We ended up with a giant project that we needed to scale down due to time constraints of the class. 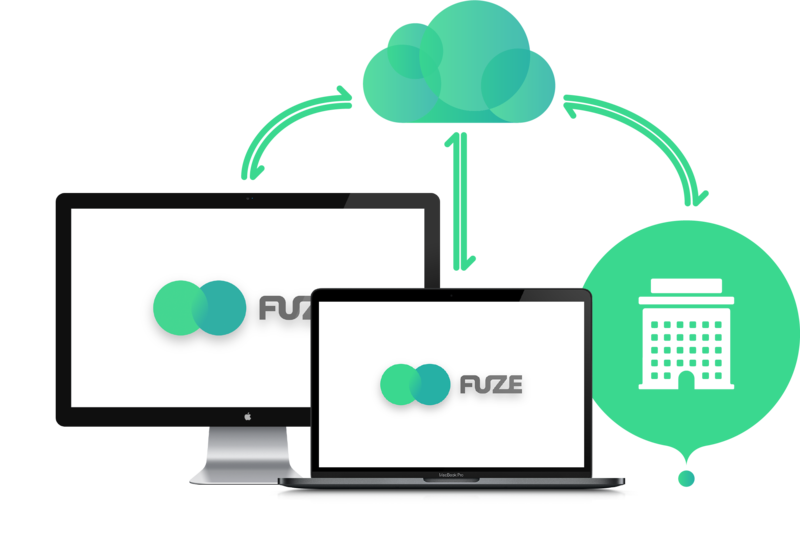 He end result focuses on the Fuze Talk app and a very basic level of integration with the Fuze Assistant app, Fuze Hub, and Persistent Desktop ideas. Secondary, Contextual Interviews, and Fly On The Wall observational research. *Offices Researched: WERFA, Hurley Int. Nicke, and SCAD Administration Offices. 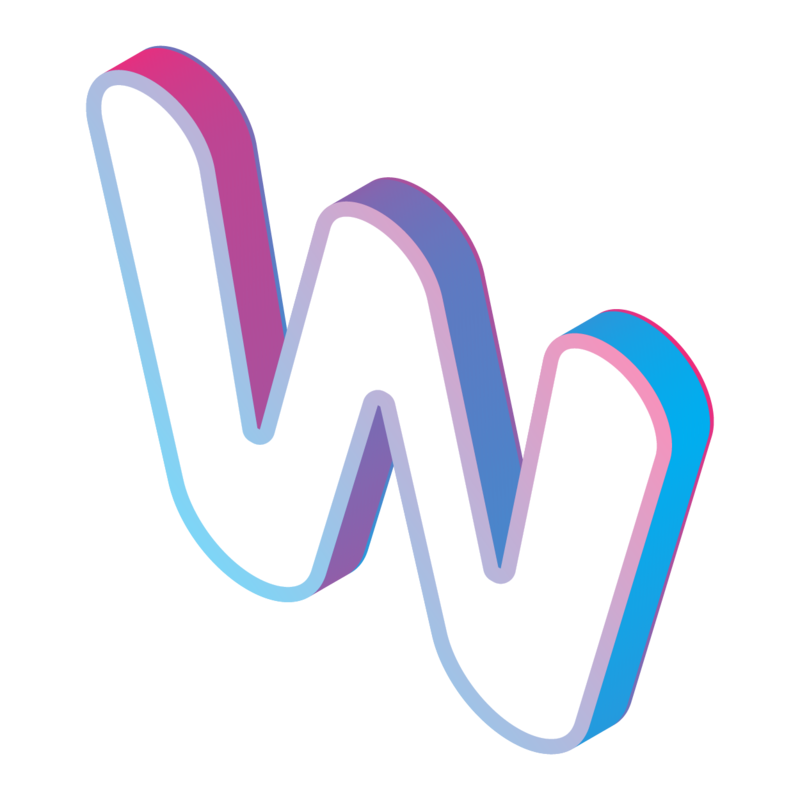 We looked at solutions like Slack, text messaging, Jabber, WhatsApp, Group Me, some internally implemented solutions, and email clients such as Google’s Inbox. 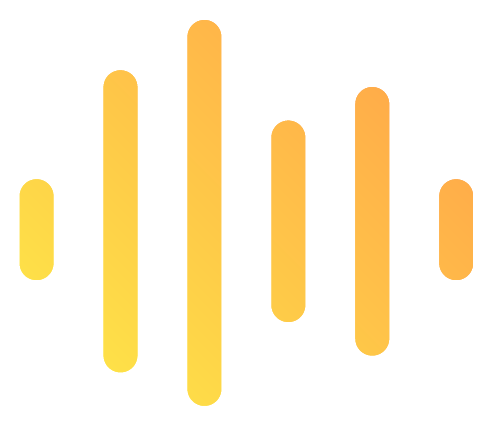 The Talk app is used for all types of communication throughout the office (including face-to-face) and is the main portion of the project we created. We wanted to make a text, email, and in person hybrid system for this project. Be a people person. This is the main page which shows you all of the people you’ve talked to. Just like your texts, it is organized by most recent chats. Good conversations with good company. Once you tap on a person in your company, all of the conversations you’ve had with that individual will appear. This is to better reflect how we remember face-to-face conversations. We also have killed the dreaded group chat! Because your team can have several different conversations and because you can set different notification settings for each thread, you won’t face another notification overload. Packing a preemptive punch. This is like email threads on drugs. 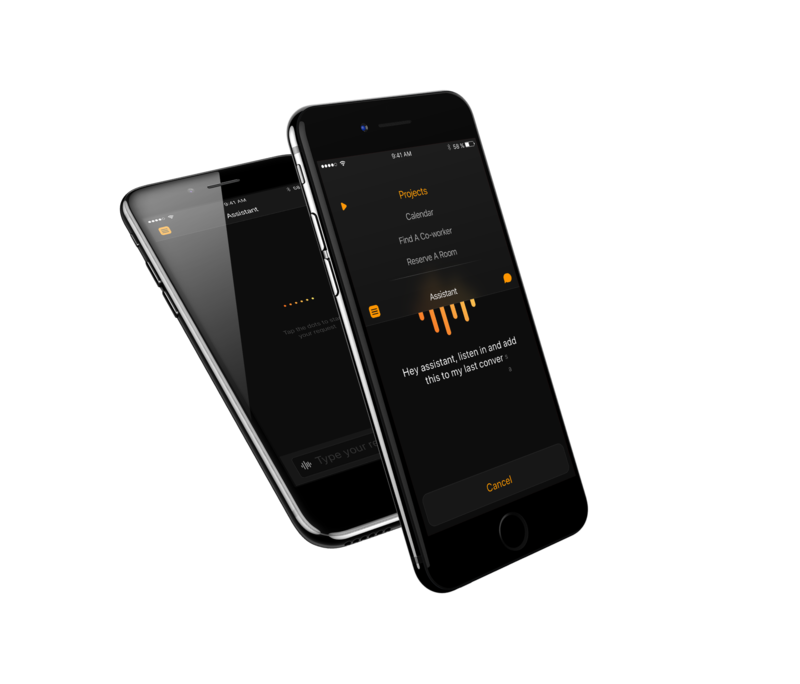 The Assistant offers you intelligent and contextual prompts based on the current conversation. You can easily swipe them away or interact with them. It can plug in to your office database to offer you information relevant to your projects, files on your desktop, or meetings you may have coming up. Show, don't tell. 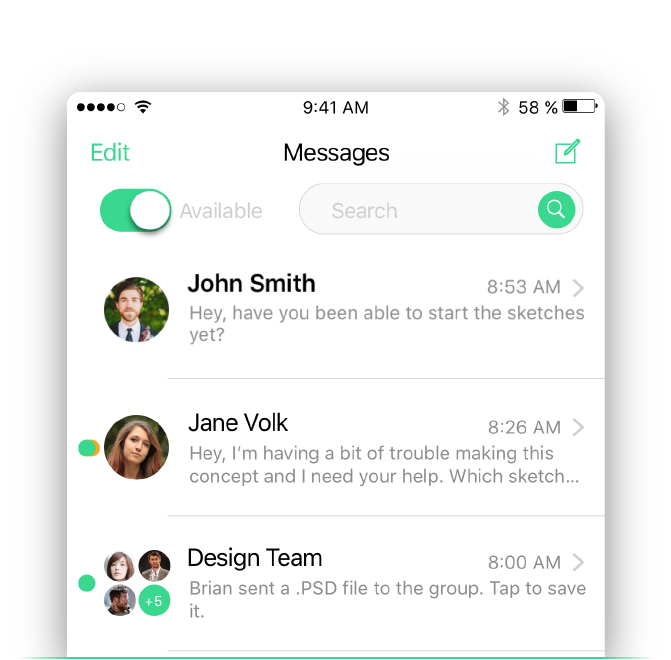 With the same gesture, you can also send files to someone and have them select which one they like or are talking about. 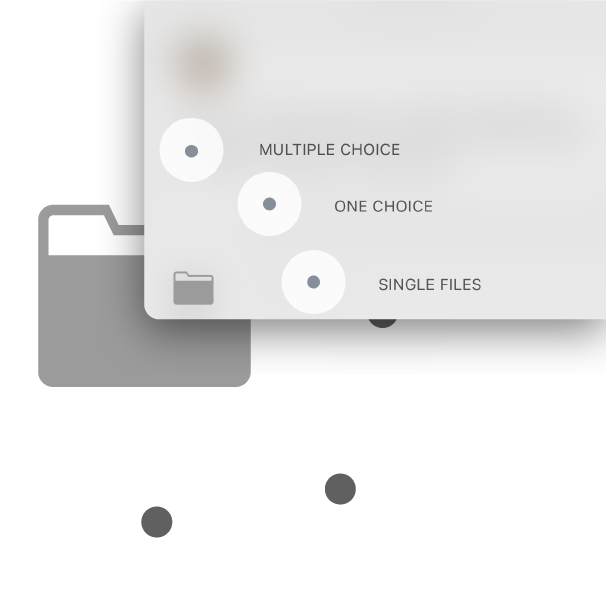 You can have someone select either one, or multiple files out of a group for specificity. You can also send files the traditional way, without any fancy bells or whistles. Looking for someone? Tapping on the info icon will allow you to alter chat settings or bring up the profiles of the people in the chat. Profiles show you if someone is available, where they’re working, what their contact info is, and what projects they’re associated with. 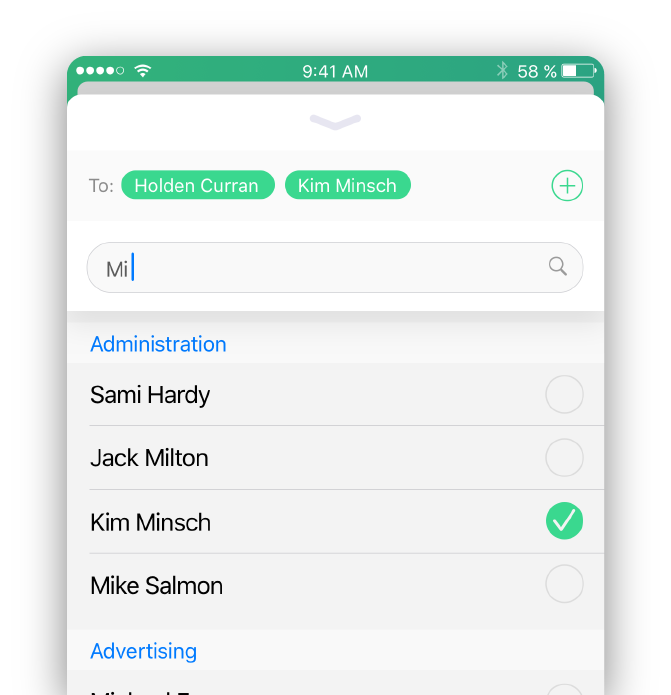 When adding people to a chat, Fuze will sort people in the office by their department. Consider it done. 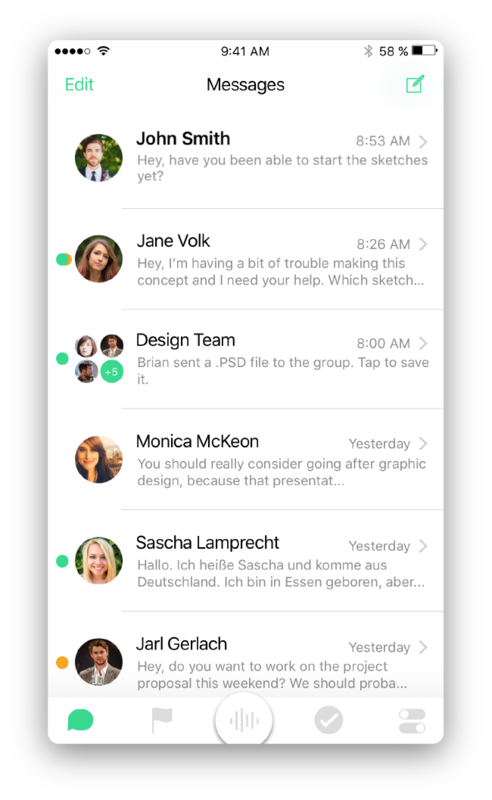 From any of the inbox pages, you can swipe left or right on a person or conversation to move it to a different inbox. Flagged helps you find it easier. 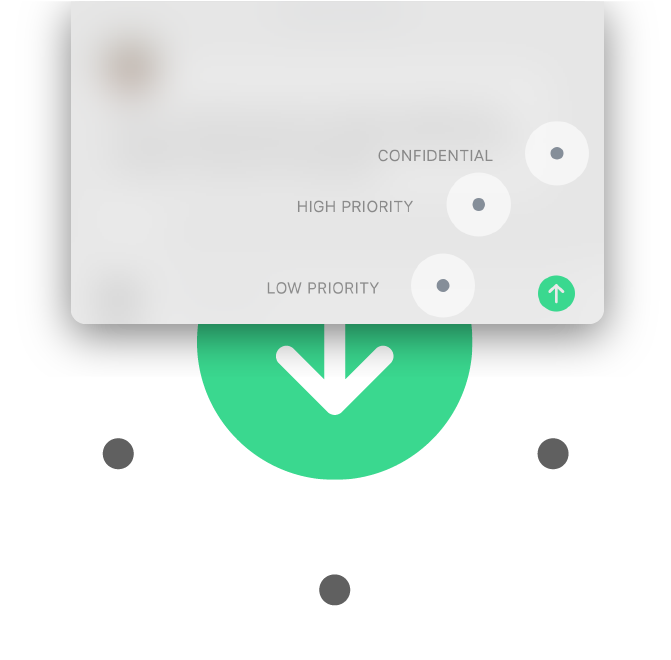 Done keeps the conversation safe in the cloud but deletes it from your device to keep the chase small. Say it with a little pizazz. By holding down on the send button, you can send a message with varying degrees of priority level. Low priority won’t notify the other person until they open the app, high priority will notify them even if they’re marked as busy, and confidential will notify the other person but won’t show a preview of the message as well as require a password to open the message. Three's a party. 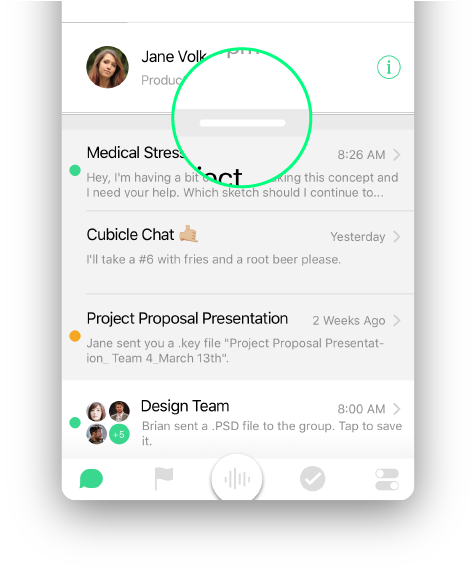 When adding people to a chat, Fuze will sort people in the office by their department. Sorry, I'm busy. If you swipe down on any of the chat pages, you’ll see a handy search box to help you find what you’re looking for. Based on user testing feedback, we added a quick toggle to set your availability in case you don’t want to be bothered. Looking for someone? Tapping on the info icon will allow you to alter chat settings or bring up the profiles of the people in the chat. 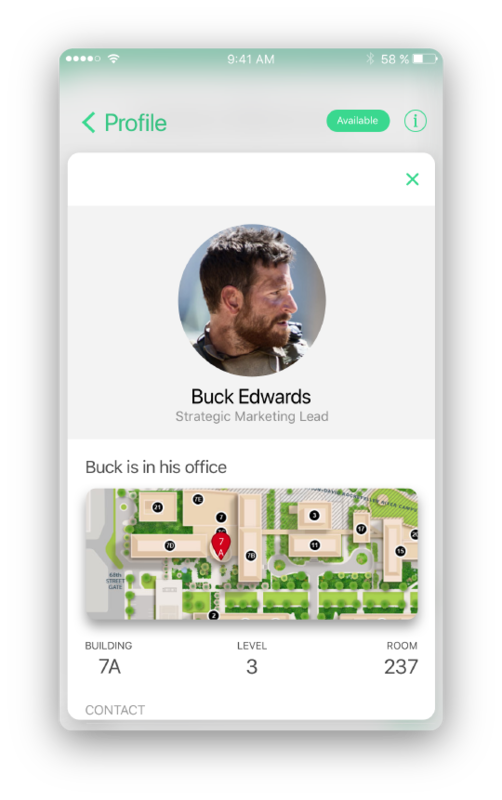 Profiles show you if someone is available, where they’re working, what their contact info is, and what projects they’re associated with.When adding people to a chat, Fuze will sort people in the office by their department. The Hub is the easiest way to interact with the assistant. 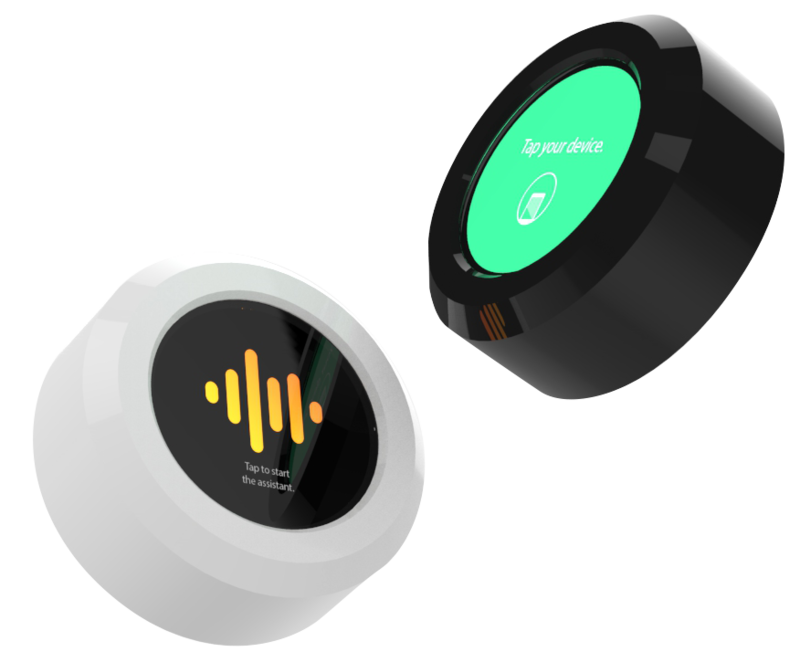 Through the hubs you can ask requests of the assistant, sign into the office, reserve rooms, track in person conversations, and much more. The black Hubs are permanently fixed to the wall while the white Hubs can be stuck onto any flat surface of any material. 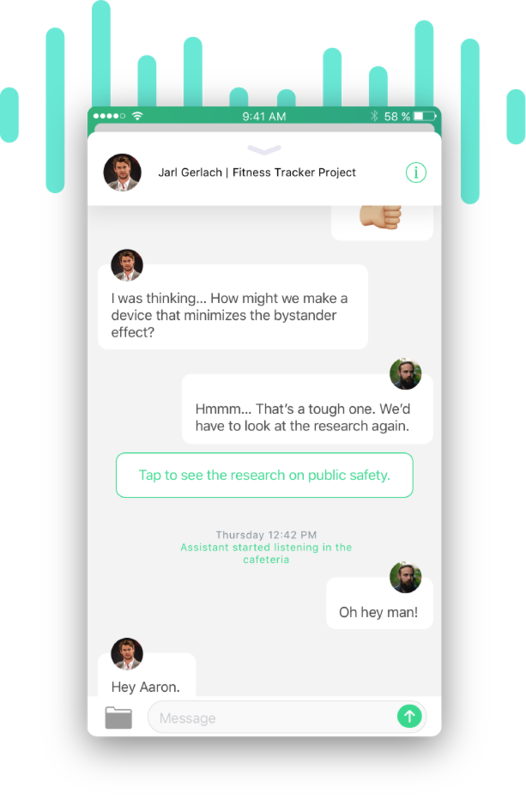 The Hub can also be used as a way to track in-person conversations and add them to the Fuze Talk app. The persistent desktop allows a user to pick up wherever they left off. For example, if someone in the office was preparing a presentation for later that day, they could log of their current computer with the presentation opened and ready to go, travel to the meeting room, log in, and have the presentation pop back up in the same place they had left it. The Hub is the easiest way to interact with the assistant. Through the hubs you can ask requests of the assistant, sign into the office, reserve rooms, track in person conversations, and much more. The black Hubs are permanently fixed to the wall while the white Hubs can be stuck onto any flat surface of any material. 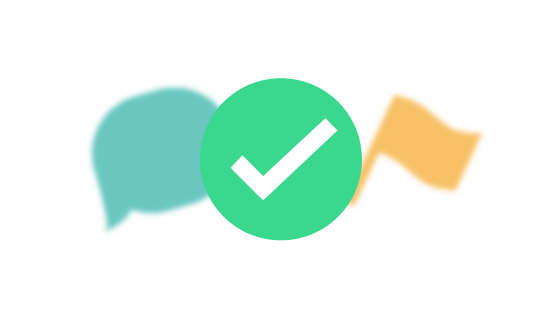 The Hub can also be used as a way to track your in person conversations and add them to the Fuze Talk app.